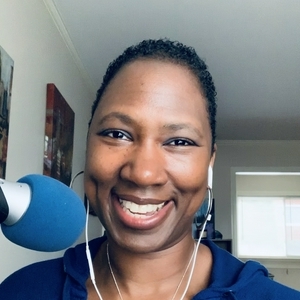 Writing in Color Podcast follows new writer, ChaChanna Simpson, as she learns how to navigate the writing world to become a thriving writerpreneur. Each episode is a behind-the-scenes look at the highlights, lowlights and everything in between to give you a real time view of what it takes to be a profitable writer. 30: I’m literally, finally, writing my book! 28: How well do you know your characters? 26: What's your inciting incident? Happy Halloween! In this episode, I share my failure at prepping for NaNoWriMo. You also get a bonus story, which I share a live performance I of a story I recently told at #proseofpie. Whoo Hoo! Did you take full advantage of #preptober? It's that time of the month where I share with you what I've been up to in my personal, writing & storytelling life. What have you accomplished this month? Please share your comments at WritingInColorPodcast.com Resources FocusMate.com Looking to be more productive? Try this out. There are a plethora of ways to make money from writing and in this episode I have decided where my focus will be and how I plan to cash in on it. How do you make or plan to make money from your writing? Share it on ChaChannaWrites.com/Podcast.